"Super Sunday" is almost here! If your kids are like mine...they are consumed with football right now. I created a few activities this weekend to help review our CCSS math skills while getting ready for the big game. 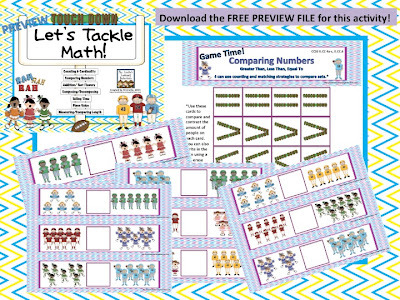 Stop by my blog to download this freebie on comparing numbers.